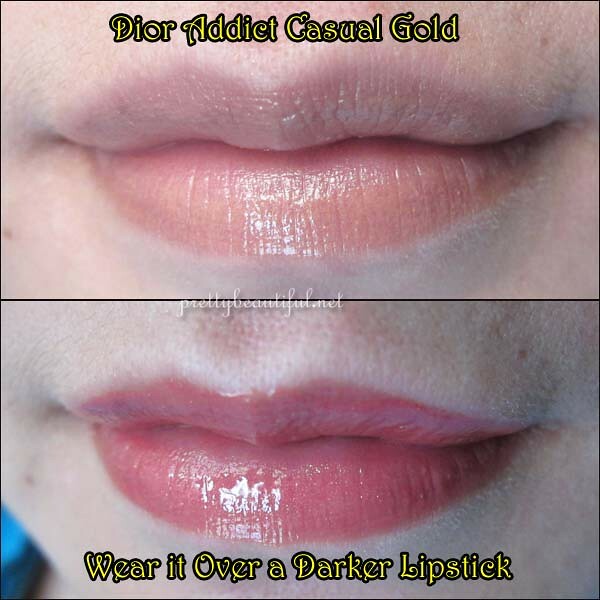 As part of the Dior Summer Croisette Collection, I have reviewed the Swimming Pool, and Dior has 3 shades of Dior Addict Lipsticks, and Casual Gold (414) is one of the shades. I like the semi silver and gold packaging – it looks elegant and it looks like a space lip stick! 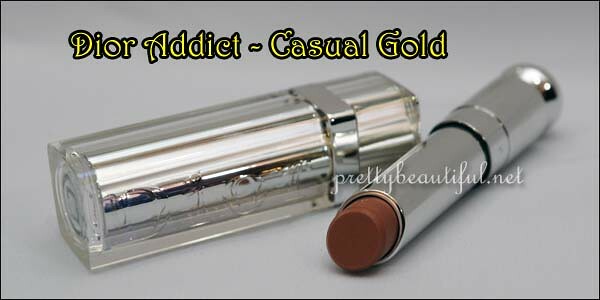 From the tube, Casual Gold looks like a pigmented honey-brown shade, but in fact, it is very very sheer. On its own, you get a sheer light gold tone, with a hint of gloss. It you have pale skin, it doesn’t really compliment. I looked pale if I didn’t have any other color on my face. To work this around, I decided to use a dark red lipstick that I hardly wear due to the darkness, and I sheered it out with this Casual Gold. The dark red was quite flat, and a layer of Casual Gold gave it shine and moisture. I don’t think I will wear Casual Gold on its own, but I have been pairing it with rather unflattering lipsticks so the colors look more alive. If you have a tanned skin, this might look good on you! I have pale skin so I don’t think this would work well on me on its own. But it looks lovely layered on top of lipstick. Previous post: Accessories Organizer – Keep Your Life Convenient, Handy and Neat!